Kameron Bacon is a Program Specialist at the San Diego Workforce Partnership. Here he tells a little bit about himself, both personally and professionally. I love that I have the opportunity to make a positive difference in the lives of others every day when I come into work. Being able to help somebody who might be going through a rough patch in their life or is looking to get their foot in the door and get their first chance at work experience means a lot to me. I’m very proud of getting the promotion to my current role as a program specialist on the This Way Ahead program. This Way Ahead is a paid life and retail internship program that helps low-income youth land their first job at a Gap Inc. store. To think I started with SDWP as a CONNECT2Careers job coach (which is an internship) and have worked my way up the ladder to getthe opportunity to run my own program is something that I take great pride in. 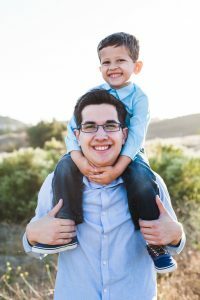 When I’m not working, I enjoy golfing and spending time with my son and fiancé by going to the San Diego Zoo, Padres games or even just hanging out around the house.